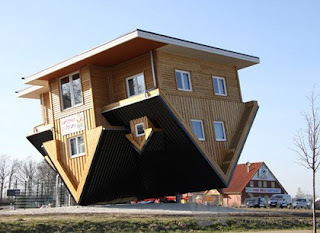 This upside-down building known as "Crazy House" was built in Bispingen, Germany, as a tourist attraction. 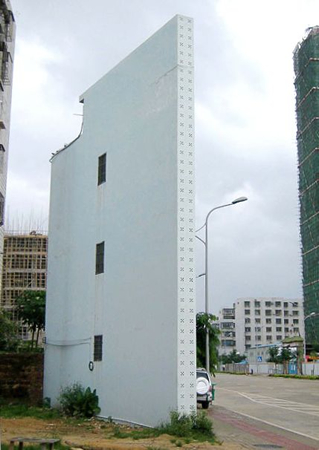 This three-storey building in China may be the world's thinnest. 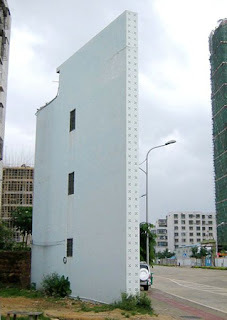 The building in Haikou, Hainan Island was built in 2007 and covers an area of just 20 square metres. 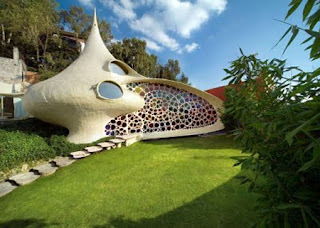 The narrowest end of the building is 0.4 metres wide, while the widest is 3 metres. 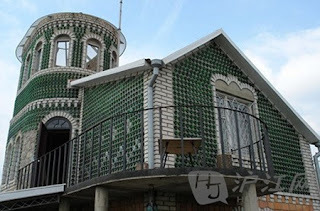 A house is made of empty glass bottles, built by a Ukrainian pensioner in Zaporozhye. 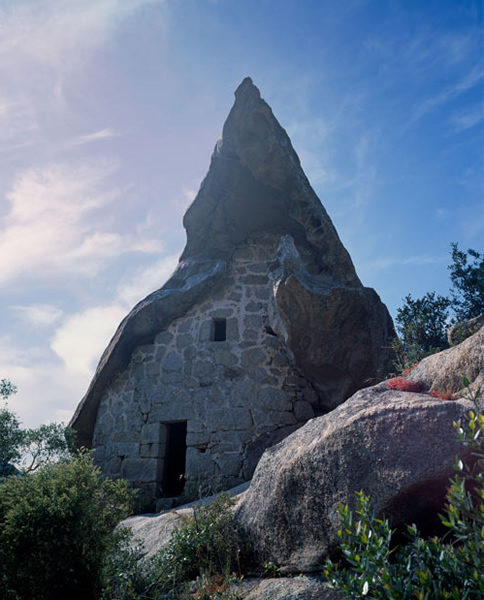 The unusual house in Corsica is made out of a large boulder whose overhang has been bricked in.